Not too long ago we told you about new region availability possibly coming to the Apple iBook store, and now Google Books is expanding its region availability as well. Google has announced that its ebook store and mobile apps are all now available in the UK. Google Books is offering ebooks from major UK publishers Hachette, Random House and Penguin, and is also offering an amazing 2 million public domain books for free. Google has also said that it is working with UK retailers to sell Google Books in their stores. Deals are in the works with Gardners' Hive, and Blackwell's as well as other independent bookstores. Even better, UK readers can use all of the venues to read Google Books including the mobile apps for Android and iOS as well as the web reader and various compatible e-readers. 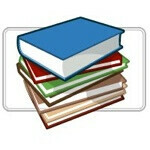 Google Books is available for free in the Android Market and the iTunes App Store.